Offsetting today’s greenish tinge over Laura’s debut, I’m also happy to announce that AMW’s second crime fiction anthology, Lone Star Lawless, was released last week by Wildside Press. So, after inviting two accomplished writers, Reavis Wortham and Earl Staggs, to contribute, we wrote, critiqued, revised, re-critiqued, submitted to an independent editor, queried, and signed with Wildside, and Murder on Wheels: 11 Tales of Crime on the Move came out in 2015. Kaye was an established writer with several novels and a zillion short stories to her credit, but the rest of us–Gale Albright, V. P. Chandler, Laura Oles, Scott Montgomery, and I–had never published any fiction. We were officially Pleased With Ourselves. When Wheels received the Silver Falchion Award at the 2016 Killer Nashville International Writers Conference, we tried to remain humble but couldn’t. One anthology led to another. 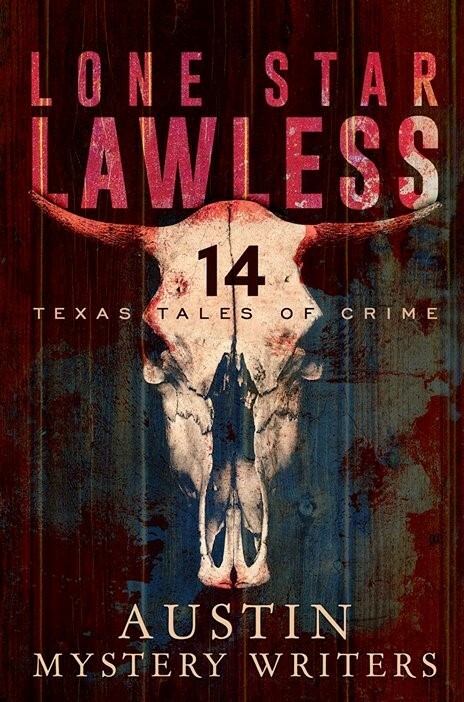 This time, AMW are joined by eight friends–Alexandra Burt, Mark Pryor, Larry Sweazey, Janice Hamrick, Terry Shames, George Wier, and Manning Wolfe–for Lone Star Lawless: 14 Texas Tales of Crime. I would like to say, in a tone dripping with sophistication, “Been there, done that.” But I can’t. As with Wheels, I want to put Lawless in a baby carriage and, in a flagrant fling of Blatant Self Promotion, roll it up and down Congress Avenue and so everyone can see my magnificent creation. But if Laura wants to borrow my baby carriage to roll Daughters of Bad Men up and down Congress Avenue, I’ll be more than happy to chaperone. Question: If you combined Lucille Ball with Inspector Clouseau, what would you get? Answer: Imogene Duckworthy, amateur P.I. and main character of Kaye George’s new mystery, CHOKE. Here’s the entire review. Everything I say in it is the truth. Next Post Society? Polite, or what? Kathy, I also enjoy being involved in writers’ groups and reading books by authors I know. Good luck with the new anthology. Thanks, Abbie. I love having friends who share this interest. Enjoyed and so happy for all of you! I wrote a short story murder mystery for a college class and it got published in the college publication, but haven’t known where to send it since then. My friends were a little speechless as they expect inspirational romances from me, but I thoroughly enjoyed writing it, drawing on my knowledge of human minds in my psych nursing experience. Your books sound intriguing. Too bad I sold my baby carriage at estate auction this year! I’d loan it to you! If you’d like a tip (from my vast experience), I sent the first story I submitted to Mysterical-E (online) and they published it. No money, but it’s a good publication, recognized by Malice Domestic. I sent a recent story to Alfred Hitchcock Mystery Magazine. Not likely, I think, but a friend who writes a lot of short stories advised starting at the top and going down rather than the other way around, so I did. I appreciate your kind sentiment about your baby carriage. When I cleared out my house so I could rent it, I found my baby carriage in the garage rafters: enormous, black leather, ugly; nothing like the ones they have today. A real pram, I guess. Hey, Kathy, I belong to an online writers workshop and depend on a handful of members I’ve known over the years for my critiques of novels. When I first moved to Henderson/Vegas, I joined the Henderson Writers Group, but didn’t renew after the first year. I probably should renew… the group does critiques and story prompts. It’s good to have face to face friendships, not just online ones. 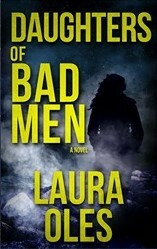 Congratulations to your friend Laura for her debut novel. It helps when you know the members well, doesn’t it? Easier to be candid for both parties. Once, when I’d ignored the same comment from one of the members three or four times, she said, “That’s just driving me crazy!” We both laughed. And I changed it. I apologize, but that’s music to my ears, Doris. I’ll pass on the congratulations. Thanks much. Thanks, Barb. If I didn’t have the critique group, I’d probably have given up by now. Good luck to you with everything. That sounds like a good group, Cherley. I love the name Spoiled Ink. I write more when I have the support of a group. Kaye was working on Smoke when I joined the group and not long after, Choke was published. It’s the first book to make me laugh out loud since forever. (I think I scared my husband.) It’s the book I wanted to write, but nobody told me. I have met so many great writers online and the one thing I have found is that most of them are happy for each other’s progress. I miss my group in Mexico because we did exactly the type of thing your group does and it makes one a more rounded writer. So glad for your friend’s work being published. Thank you for the tips – I’ve saved them for later – who knows, I just might need them! Reblogged this on L.LEANDER BOOKS. Writing groups are a great asset to everyone involved. I miss being part of a group, maybe one day I will have the chance to get back to them.